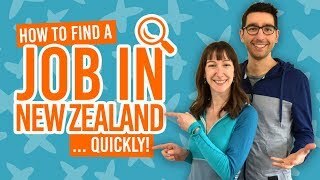 Where to Learn English in New Zealand. 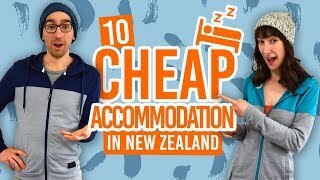 If you’re reading this article, then you have probably realised that New Zealand is an excellent place to learn English and enhance your future! While jumping into a new culture is the best way to improve your English quickly, doing an English course will make the process easier (and more enjoyable). On top of that, being able to speak and write English well is a requirement for many employers and universities around the world, which look for people with the right English language qualifications. Luckily, there are some amazing English schools in New Zealand offering courses to prepare you for the most common English exams – Cambridge and the International English Language Testing System (IELTS). We’ll go through some of the best English courses in New Zealand in the list below. All the English schools listed below have NZQA approved courses and/or are a part of English New Zealand, meaning that the courses have been assessed to ensure you’re receiving a quality education. For more advice on what type of English course to take in New Zealand, check out Studying English in New Zealand. The Campbell Institute is the largest and longest-running English language school in Wellington. Over the years, they’ve developed a wide range of English courses to help you improve your English for your unique situation or just to improve your communication overall. What’s more, Campbell offers full-time and part-time mornings/afternoons English courses, making it easy to find a course to work around your schedule. Choose from IELTS or Cambridge exam preparation course, General English, High school preparation, school holiday courses, and even work-specific classes like barista training and au pair opportunities. The Campbell Institute also has a Newmarket, Auckland campus, although this has slightly fewer offerings than Wellington. Location: Wellington Railway Station, 2 Bunny Street, Wellington & 3 Broadway, Newmarket, Auckland. Yes, you don’t have to be in the big city to attend a high-quality English school! Head to the east coast of the North Island in the small city of Napier to learn English for everyday life, as well as preparing for Cambridge and IELTS exams. New Horizon College has a great selection of facilities for an English school that will make you think you’ve stepped into a university. The school has a library, student lounge, activity programme, dining area and kitchen, as well as free one-on-one tuition. On top of General English and English exam preparation classes, the schools offer specialised classes for 40+-year-olds, English and golf, English and the environment, English for high school and more. Experience the real side of Auckland in the suburb of Manukau! Auckland Edinburgh College is set in a modern building with spacious classrooms and top facilities. In between attending class, practice English with your new mates in the cafeteria, student lounge and by attending the regularly organised group activities. As well as native English tutors, Auckland Edinburgh has staff from all over the world to support and inspire your learning. Take your pick from full-time General English courses that will prepare you for using English in day-to-day situations, IELTS preparation and high school preparation. Location: 20 Amersham Way, Manukau City Centre, Auckland. Based in the geothermal and Maori cultural hotspot of Rotorua, the Rotorua English Language Academy (RELA) has a great selection of English courses from General English to IELTS/Cambridge/TOEIC preparation courses. On top of offering full-time and part-time courses, there’s further opportunity to cater the course to you, whether it’s learning with activities or choosing a course with people your own age. The school can also organise homestays at an additional cost. Location: 1460 Pukuatua Street, Rotorua. Located in some of the biggest university hubs of New Zealand, English Teaching College (ETC) is a top choice for international students. Get prepared for your university’s or job’s required English qualification with IELTS, Cambridge, OET and TOEFL/TOEIC courses. Even if you don’t need one of the English qualifications, you can still vastly improve your English with one of the General English, Academic English and High School English courses. ETC also offers free courses for domestic for domestic students or migrants that have been transferred to New Zealand by an employer. Get in touch to see if you qualify. Finally, learn English with more practical courses, such as Demi Pair (childcare experience), Medical English and even internships within the healthcare industry. Check out ETC’s other services, like homestay and farmstay opportunities, as well as one-on-one tuition. Location: 140 – 144 The Square, Palmerston North & 204 Willis Street, Wellington & 40-44 Bloomfield Terrace, Lower Hutt. Learn English in the South Island’s largest city, Christchurch, or in Auckland city centre. The College of English (CCEL) is based on the University of Canterbury campus with access to top facilities to enhance the student experience. The timetables work a little differently at CCEL, offering General English classes during the day or in the evening, so you can learn English after work or university. Choose from part-time or full-time courses or enhance your vocabulary for work with Business English or for university with Academic English (EAP). Of course, IELTS and Cambridge exam preparation is available, as well as English for high school students and programmes to help you find a job. Location: Solway Avenue, Ilam, Christchurch & 155 Queen Street, Auckland. With some of the best views from the classroom windows, Southern Lakes English College is ideally located in the heart of Queenstown on the South Island. Improve your English when it suits you with Southern Lakes English College offering both day and evening General English course, full-time, part-time and somewhere in between. In true Queenstown style, as the town is known as the “Adventure Capital of New Zealand”, the college also does courses throughout the year mixing English with adventure activities such as skiing, mountain biking, golf, wine and more! Additionally, combine English learning with practical work placements. Plus, Southern Lakes English College has IELTS, TOEI and Cambridge preparation courses. Location: 57, Shotover Street, Queenstown. One of the best English schools to enrol in as an international student is at the University of Otago Language Centre in Dunedin. The University of Otago is New Zealand’s oldest university and has an impeccable international reputation. If you are enrolling into another University of Otago course or just want to do a General English course, the university offers both options. Unsurprisingly, the school specialised in English for Academic Purposes (EAP) and English for Otago courses – the English for Otago is a requirement for some students with a conditional enrolment offer. Location: 130 Anzac Avenue, Dunedin. Being one of only five English schools in New Zealand that’s part of the International Association of Language Centres (IALC), Nelson English Centre is well worth considering as a school to learn English to a high standard. Not only that, the school is set in New Zealand’s sunniest city with plenty of things to do in the surrounding area. Choose from part-time or full-time General English courses or get prepared for your Cambridge or IELTS exam with their preparation courses – some of which can be attended in the evenings. Location: 41 Selwyn Place, Nelson. In one of the North Island’s most bustling cities, the Waikato Institution of Education has a huge range of quality English courses. Pick a course in Hamilton from General English at 6 levels (academic and general), Practical English for Work, Business and Office English, High School Preparation, Holiday/Summer Programmes, as well as IELTS, TOEIC and Cambridge Preparation. The school is open to anyone wanting to improve their English, from working holidaymakers to students to migrants. Plus, look out for special promotions on free weeks, which other New Zealand English schools don’t offer. Location: 48 Ward Street, Hamilton.